Every citizen, at the same time, has a fundamental duty to maintain cleanliness in and around his abode, the court observed. The Uttarakhand High Court has issued landmark guidelines on solid waste management while disposing a public interest litigation filed by Sai Nath Seva Mandal. The Society, through the PIL, had brought to the notice of the court that the municipal waste generated in Kashipur city is being dumped directly in Dhela river near the Sai temple situated on Moradabad Road in Kashipur town. While issuing the guidelines, a bench comprising Justice Rajiv Sharma and Justice Sudhanshu Dhulia observed: “The zenith of civilization can only be gauged how clean the cities and towns are. Every citizen has a fundamental as well as human right to clean and hygienic environment. Every citizen, at the same time, has a fundamental duty to maintain the cleanliness in and around his abode. There are more persons indulging in littering, dumping of garbage at public places vis-à-vis the persons employed to clean up the mess. We must keep and maintain the dignity of the workers employed to clean the cities and towns”. The court also observed that the authorities have a mandatory duty to collect and dispose of the garbage/waste generated from various sources in the city. Non-availability of funds, inadequacy or inefficiency of staff, insufficiency of machinery etc. cannot be pleaded as grounds for non-performance of the statutory obligations, it said. All the Officers of the municipal corporations, municipal bodies, Nagar Panchayats, Panchayati Raj Institutions shall ensure that no garbage, rubbish, filth etc. is deposited by any person in any street or public place. The Magistrates appointed under Sections 20/21 of the Code of Civil Procedure and under Section 487 of the U.P. Municipal Corporation Act, 1959 are authorized to impose and levy fines for violation of statutory provisions of Municipal Solid Waste Management Rules, 2016; UP Municipal Corporation Act, 1959; UP Municipalities Act, 1916 as well as UP Panchayati Raj Institutions, in addition to the officers already appointed to do so, as mentioned hereinabove. All the streets and roads falling within the municipal areas, municipal corporation/Panchayati Raj institutions should be surface cleaned in the morning. 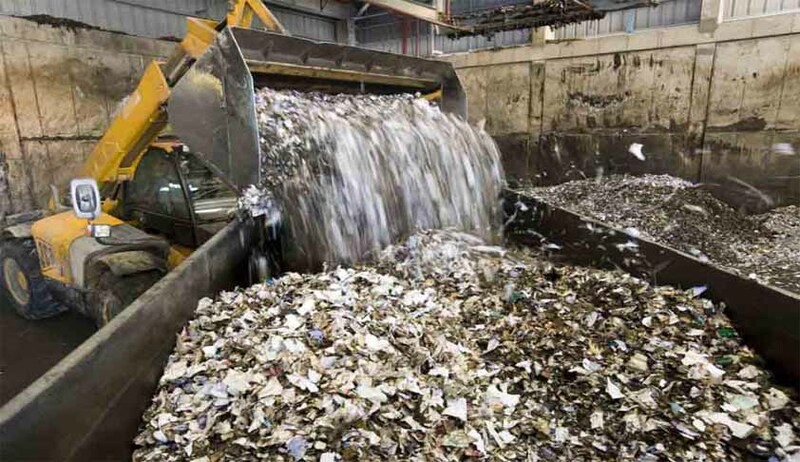 The state government is directed to take decision on all the proposals sent to it by the municipal bodies for managing the solid waste in their territorial jurisdiction within four weeks from today. The Nagar Nigam, Dehradun, and Nagar Nigam, Haridwar, are directed to complete the tender process relating to solid waste management, if not already completed, within eight weeks from today and thereafter to implement the solid waste management scheme. The Principal Secretary, Urban Development of the State of Uttarakhand, is directed to prepare the State policy and strategy on solid waste management for the entire state in consultation with the stakeholders within a period of three months from today. The Town Planning Department of the State of Uttarakhand through Secretary, Town Planning, is directed to ensure that the master plan of every city in the State is having the provision for setting up of solid waste processing and disposal facilities. The Principal Secretary, Urban Development of the State of Uttarakhand, is directed to ensure identification and allocation of suitable land to the local bodies within three months from today for setting up of processing and disposal facilities for solid wastes and incorporate them in the master plan. The Town Planning Department, through its Secretary and all the local bodies throughout the State of Uttarakhand, are directed to ensure that a separate place for segregation, storage, decentralised processing of solid waste is demarcated in the development plan for group housing or commercial, institutional or any other non-residential building exceeding 200 dwellings. All the District Magistrates in the State of Uttarakhand, in coordination with the Secretary, Urban Development, are directed to ensure identification and allocation of suitable land, as per Clause 11(f) of the Rules of 2016, for setting up of solid waste processing and disposal facilities. The Secretary Panchayats/Rural Development of the State of Uttarakhand is directed to prepare a State Policy and Solid Waste Management Strategy for the entire State in consultation with stakeholders within a period of three months from today. All the local bodies, including village panchayats, are directed to ensure door to door collection of segregated solid waste from all households including slums and informal settlements, commercial, institutional and other non residential institutions. There shall be a general direction to all the waste generators, throughout the State of Uttarakhand, not to litter i.e., throw or dispose of any waste such as paper, water bottles, liquor bottles, soft drink canes, tetra packs, fruit peel, wrappers, etc., or burn or bury waste on streets, open public spaces, drains, waste bodies and to segregate the waste at source. The local bodies must also consider imposing heavy fine on the violators of the order. The local authorities and village panchayats are further directed to set up material recovery facilities or secondary storage facilities with sufficient space for sorting of recyclable materials. The municipal authorities and gram panchayats are further directed to establish waste deposition centres for domestic hazardous waste. The local authorities and gram panchayats are directed to ensure safe storage and transportation of the domestic hazardous waste to the hazardous waste disposal facility. All the local bodies of the state are directed to ensure that the sweepers, throughout the state, do not burn leaves collected from street sweeping and with a further direction to store them separately and handover the same to the waste collectors or agency authorised by the local body. All the local bodies are directed to transport segregated bio-degradable waste to the processing facilities like compost plant, bio-methanation plant. They are further directed to transport non-biodegradable waste to the respective processing facilities. All the local bodies of the state are hereby directed to construct, operate and maintain the solid waste processing facilities either individually or through any agency within six months. All the local bodies are directed to construct, operate and maintain the sanitary landfills as per the norms laid down in Schedule-I of the Rules of 2016. The Principal Secretary(s), Urban Development Department, Gram Panchayat and Rural Development are directed to create public awareness through information, education and communication campaign and educate the waste generators by educating the citizens (i) not to litter (ii) minimise generation of waste (iii) reuse the waste to the extent possible (iv) practice segregation of waste into bio-degradable, non-biodegradable (v) practice home composting, vermin-composting (vi) wrap securely used sanitary waste as and when generated in the pouches provided by the brand owners (vii) storage of segregated waste at source in different bins. The general public be also directed to handover segregated waste to the waste pickers, waste collectors, recyclers or waste collection agencies. There shall be a direction to respondent no.6- Uttarakhand Environment Protection & Pollution Control Board to ensure due compliance of the Solid Waste Management Rules, 2016 as per Rule 16 of the Rules. All the District Magistrates, throughout the State of Uttarakhand, shall be held personally responsible for providing suitable land for setting up of solid waste management facilities within their jurisdiction. All the local bodies are directed to put suitable hoardings at tourist destinations to appraise local as well as tourists not to dispose of any waste such as paper, water bottles, liquor bottles, soft drink canes, tetra packs etc. on the streets or into water bodies or down the hills. There shall be a direction to the local authorities i.e. Municipalities, Municipal Corporations and Panchayat Raj Institutions not to dump the garbage in the river streams/rivulets and forest areas forthwith. The respective District Magistrates shall ensure the compliance of this order at the pains of contempt. The State Government may consider taking steps under Section 30 of the U.P. Municipalities Act, 1916 against the municipal bodies and under Section 538 of the U.P. Municipal Corporations Act, 1959 against the Municipal Corporations, in case they do not comply with the directions contained in the judgment. There shall also be a direction to all the municipal authorities to ensure that there is no mixing of bio-medical waste with other municipal solid waste. The State of Uttarakhand is directed to appoint Magistrates, within six months from today, under Section 20 and/or Section 21 of the Code of Criminal Procedure for ensuring compliance of the provisions of the U.P. (Uttarakhand) Municipalities Act, 1916, U.P. (Uttarakhand) Municipal Corporation Act and Zila Panchayat Act, 2016 and to try the offences specified thereof in relation to littering and causing nuisance, sanitation and public health. All the municipalities, municipal corporations, panchayats and other statutory authorities, throughout the state, are directed to regularly publish the names of concerned superintendents of sanitation, medical officers and sanitary officers and such equivalent officers who are responsible for cleaning the State of Uttarakhand who can be approached for any complaint/grievance by the citizens of the State together with their latest office and residential telephone numbers and addresses. The state government is directed to ensure that the municipal corporations and municipal bodies frame suitable bye-laws to prohibit the ugly practice of pasting posters/pamphlets on the government /public properties including walls, religious places, educational institutions, offices, sign boards, signage etc., within a period of three months from today. The State Government is directed to ensure that the action is taken under suitable provisions of law including the UP Police Act against those persons who deface/disfigure the aesthetic values of the cities/towns or property by pasting the posters/pamphlets on public/governments properties. It is also made clear that in order to make the cities liveable, all the Municipal Commissioners, Additional Commissioners, Deputy Commissioners, Executive Officers, Elected Members of the Municipalities, Municipal Corporations and Panchayati Raj Institutions would be personally responsible to ensure that no garbage is visible within their territorial jurisdiction. All the Municipalities, Municipal Corporations and Panchayati Raj Institutions are directed that no Safari Karamchari shall be forced to get into a manhole without providing him with the necessary equipment including Oxygen Cylinder. It is also directed that as and when any Safai Karamchari enters in a manhole, a duly qualified doctor must be present on the spot to handle any emergency. This direction has been issued taking into consideration the noxious gases emitting from the manholes which are life threatening. All the Municipalities, Municipal Corporations and Panchayati Raj Institutions are directed to consider granting one month salary as Bonus to the Safai Karamcharis taking into consideration the arduous and hazardous duties being discharged by them. Copy of this judgment be sent forthwith to the Chief Secretary, State of Uttarakhand, Secretary, Urban Development, Secretary, Rural Development, Secretary, Uttarakhand Pollution Control Board as well as to the Comptroller & Auditor General of India for implementation of the direction in letter and spirit.